Please note that some 'Groups' are newer than others and browse results may be limited until members join. Please note that some Member Created 'Groups' are newer than others and browse results may be limited until members join. No member created groups defined for this site... yet. 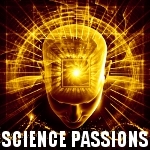 If you are a member of Science Passions, and you see a 'Group' above that you would like to join, click here. PLEASE NOTE: The 'Groups' feature works best when you only join groups that describe you, or your interests. It is designed to allow people to find you, so please do not join groups that do not specifically describe you. DO NOT join groups just because you are interested in people within those groups! *The Groups area is designed to allow Science Passions members to find people they have something in common with, or people who share similar 'passions' or interests. In some of our sites, groups reference specific brands, brand names, books, movies, television shows, company names, or people. Passions Network, Inc. would like to make it clear that all copyrights and trademarks are owned by their respective owners and/or companies.